Obverse: Head of Apollo right, no legend. 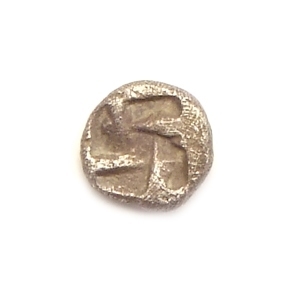 Reverse: Incuse square punch, no legend. 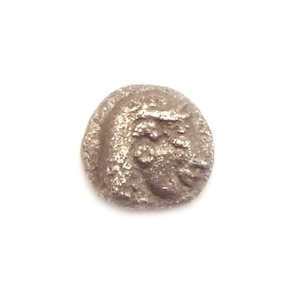 Tetartemorions were issued in Athens and a number of other Greek city-states, each with its own designs. The value of the Tetartemorion is 1/4 (one quarter) obol.